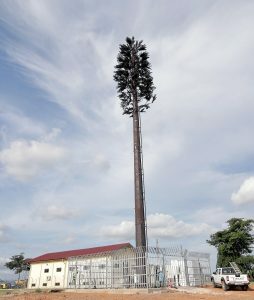 Appolonia City has partnered with ATC Ghana, a subsidiary of American Tower Corporation to deploy cell towers within Appolonia City’s 2,325-acre development in Greater Accra. The first cell tower has already been installed, enhancing connections for current residents and businesses at Appolonia City. Appolonia City has forged a number of strategic partnerships with entities such as the Association of Ghana Industries, Comland Company Limited and now ATC Ghana. In 2018, Appolonia City was named “The Most Promising Company of the Year” at the Ghana Business Awards and received the “Best Member Award 2018” from the American Chamber of Commerce. Appolonia City is a 2,325-acre (941-hectare) mixed-use and mixed-income urban development just 20 kilometers from the centre of Accra, Ghana’s capital city. The project includes a variety of social infrastructure underpinned by world-class construction and estate management services. Residential sales with a range of financing options are available by purchasing a plot to build your own house in Nova Ridge or an existing home at the Oxford development. Appolonia Business Park offers 70 acres (30 hectares) of modern commercial areas. The park is designed to accommodate a range of uses including manufacturing, processing, storage, logistics and service companies. ATC Ghana is the largest independent provider of shared wireless infrastructure in Ghana. The company offers towers, in-building systems, power solutions and services that speed network deployment for the wireless and broadcast communications industry.